The Nike Kyrie 3 Obsidian is a nice follow up to the kids-only Nike Kyrie 3 Badge of Honor release. This releases will be available in men’s sizing that debuts in the beginning of June 2017. Dressed in an Obsidian, Metallic Gold and Summit White color scheme. This Nike Kyrie 3 features an Obsidian Blue upper highlighted by its Metallic Gold Nike Swoosh logos. A speckled midsole and Gum rubber outsole finishes off the design. 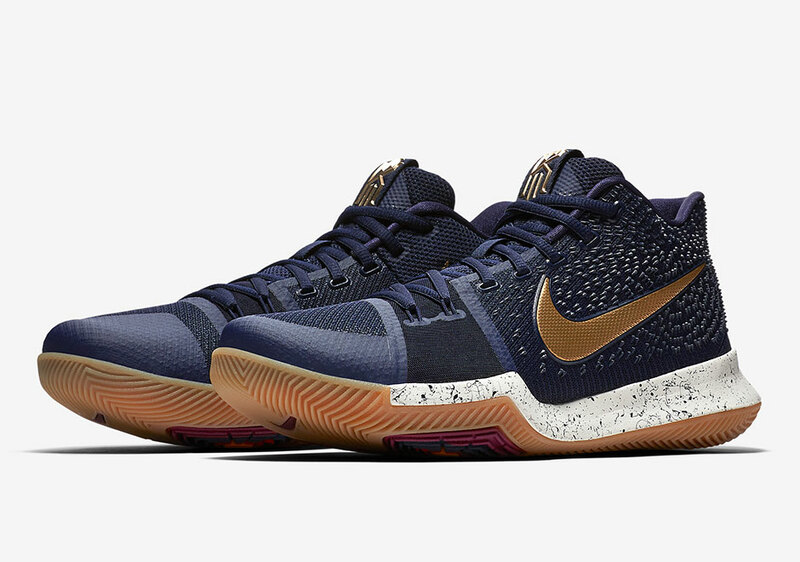 Look for the Nike Kyrie 3 “Obsidian” to release worldwide on June 3rd at select Nike Basketball retailers and Nike.com. North America release on July 21st. The retail price tag is set at $120 USD. UPDATE: Nike releases official photos of the “Obsidian” Kyrie 3.